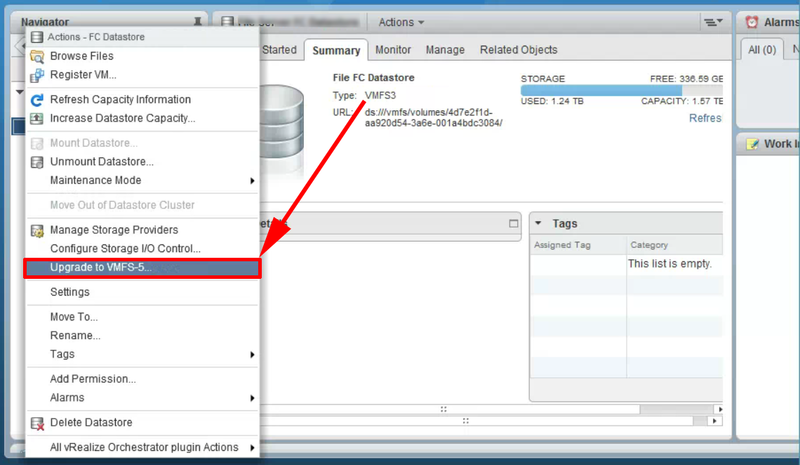 Well there is a bug on ESX version 6.0.0 that causes this error message, in my case the client had VFMS3 volumes. 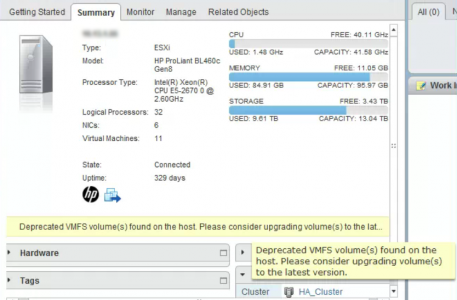 Depreciated VFMS volume(s) found on the host. 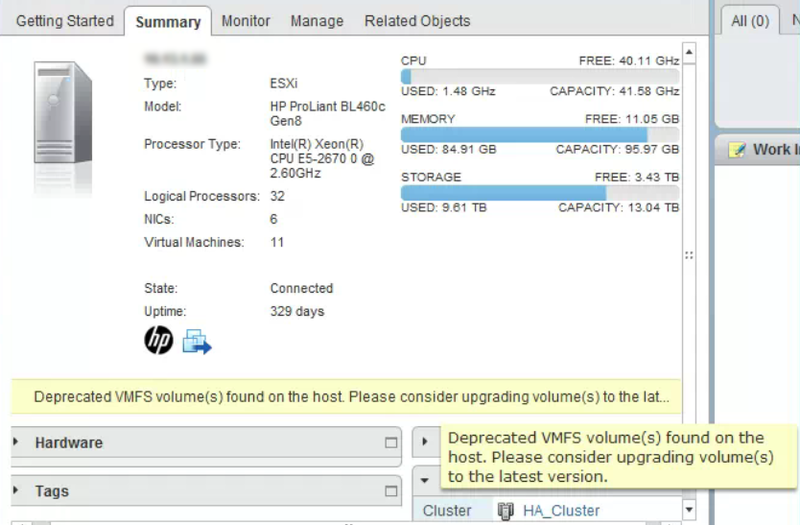 Please consider upgrading volumes(s) to the latest version. That’s what was causing the error in my case! 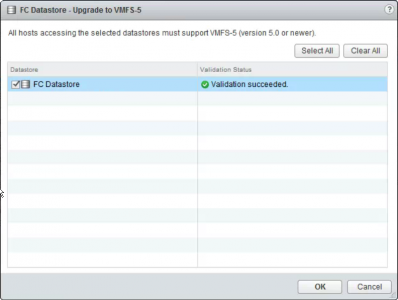 I chose to simply update the VFMS3 volumes to VFMS5 > Right click the volume > Upgrade to VFMS5. Select the volume(s) > OK.
Be Aware: While upgrading a datastore to VFMS5 it still retains its original block size and restrictions. 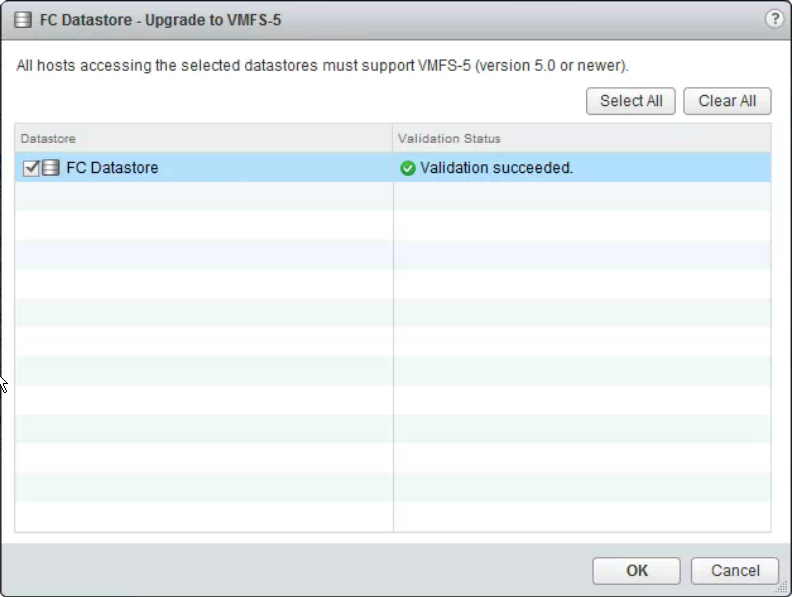 To fully appreciate the benefits of VFMS5 a better approach is to create a new VFMS5 volume, then migrate your machines into it, then delete your VFMS3 volume(s) and recreate them as VFMS5.